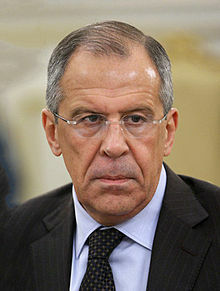 Russian Foreign Minister, Sergei Lavrov, had some comments for the United States government regarding Syria and the Islamic State that deserve acknowledgement. While the future of this situation can be debated, the past cannot. And the truth sometimes hurts. “I think Western politicians are already realising the growing and fast-spreading threat of terrorism,” Lavrov said, referring to Islamic State advances in Syria and Iraq. “At the start the Americans and some Europeans rather welcomed [Islamic State] on the basis it was fighting against Bashar al-Assad. They welcomed it as they welcomed the mujahideen who later created al-Qaeda, and then al-Qaeda struck like a boomerang on September 11, 2001,” Lavrov said. We have to accept, for the moment, there is no perfect solution from the U.S. government’s perspective where both the Syrian regime and the Islamic State can be ousted from the situation immediately. At this point, the best case scenario is to only have to deal with one or the other while trying to push for the quelling of one. And the lesser of two evils is without a doubt the Assad regime in Syria. This, of course, means working as a partner with Russia in order to exert as much pressure as possible on Assad to hope for eventual regime change while making sure the Syrian government is stabilized enough to fight the Islamic State. In fact, hindsight being 20/20, one has to wonder if working with Russia from the beginning on Syria would have been the better solution for the Syrian people. While living under Assad has certainly been no picnic, it’s very likely the casualties from the fighting, now closing in on 200,000, would have been significantly less had a heavy UN peacekeeping presence been placed in the country when the violence broke out. And in order to have done this, the U.S. would have had to accept not initially ousting Assad, with the hope change could have come later and more peacefully. We’ll never know whether that solution would have turned out better. One thing, however, is clear: not choosing that path has been an absolute disaster. When the Ukrainian crisis evolved into what we now know is the annexation of the Crimean peninsula by the Russians, and beyond, something became apparent in others and my own mind: economic globalization allows nations to do whatever they want as long the ones who oppose them have significant economic ties with them.And the real problem is that everybody has and increasing amount of trade-ties with everyone else. The annexation of Crimea is an international crime and when Russia took a hard-line regarding it, what was done? We promised stiff sanctions if such aggression continued but nothing materialized. For when the U.S. looked to Western powers to backup their proposed sanctions against the Russian Federations nothing was done for Western Europe, and mainly Germany (the leader of the Euro-Zone), depends too much on Russian natural gas imports. Russian Pres. Vladimir Putin just had to hint at rising gas export prices or stopping them altogether and Western Europe folded. Some Republicans, in some sort of delusion, proposed that we begin exporting American natural gas to Germany and other Euro-Zone nations to supplement Russian imports, but experts explained that such a plan would take decades. So what happened to push back Russian interference in Eastern Ukraine was diplomacy and the situation has now been toned down with amassed Russian forces moving back from the Ukrainian/Russian border. But what if diplomacy did not work and sanctions were our only resort barring World War III? In an increasingly economically globalizing world, sanctions may become innocuous in the future at the risk of imposing nations risking economic catastrophe in their own country. I’m interested in hearing your opinion on this matter in terms of what can be added to my analysis and some way that economic globalization can become less of a hindrance to action against breakers of international law. A great report in the NYT on all the latest regarding Crimea, Russia, and the Ukraine. Also, today at my workplace, some of the right-wingers were saying that the reason Putin has all but annexed the Crimea is that no one fears Obama. What? Do they want him to start World War III? !